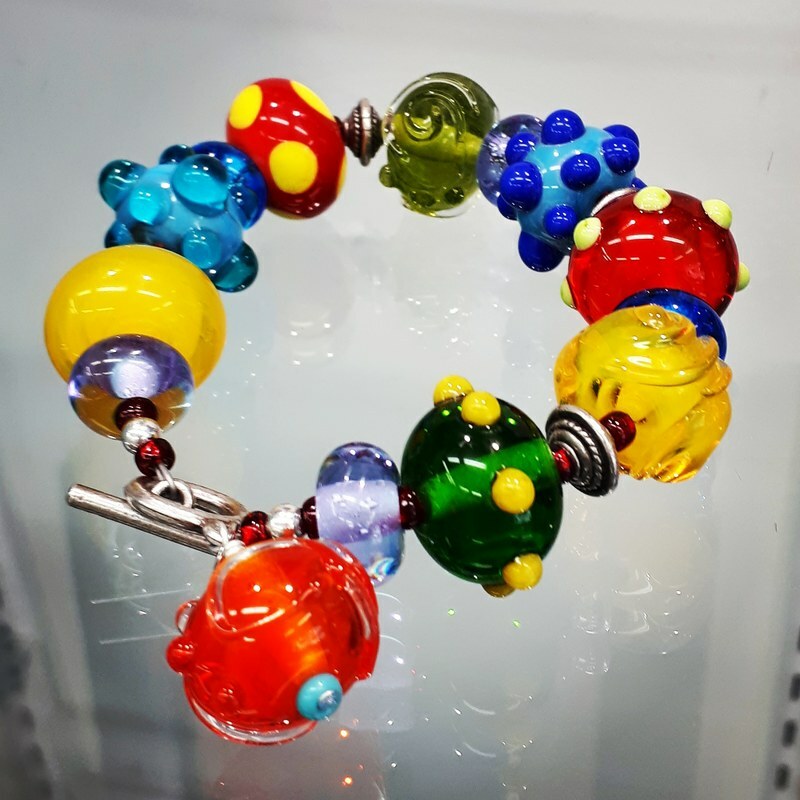 Adrienne Yeardye is a lampwork glass artist from Oakville, Ontario. Her work ranges from single beads to larger and more elaborate statement jewellery, each piece its own canvas. 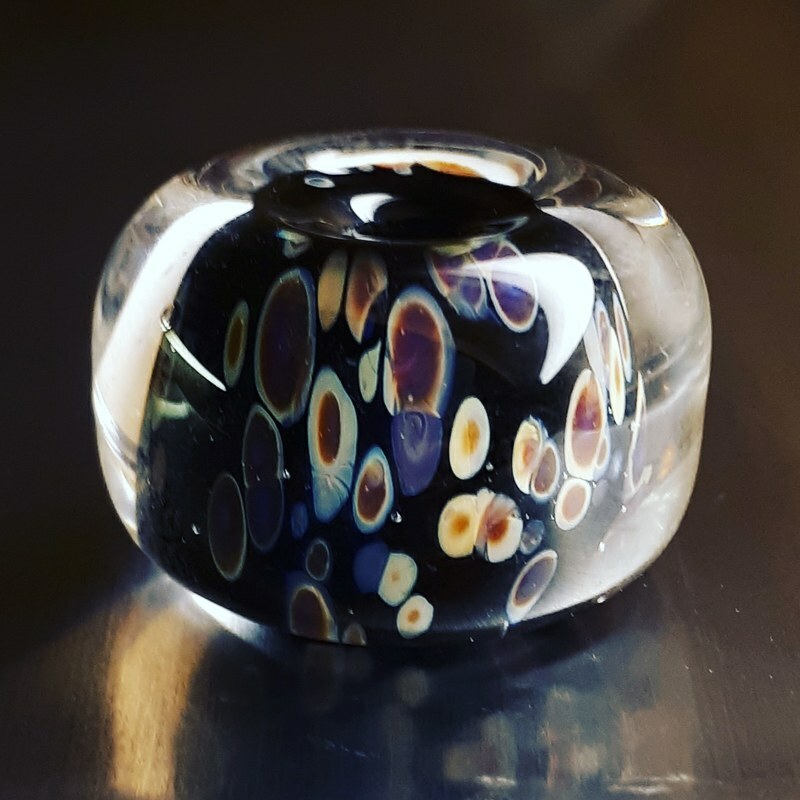 In “soft glass” lampwork, the colours come together through a process of heating and cooling the glass in layers with a bench torch. Metal and graphite tools are used to shape the beads or add textured details. Beads are then annealed in a kiln overnight to cure. Her mission as an artist and creative is to give the wearer an experience of creativity – the artist’s or the wearer’s own. 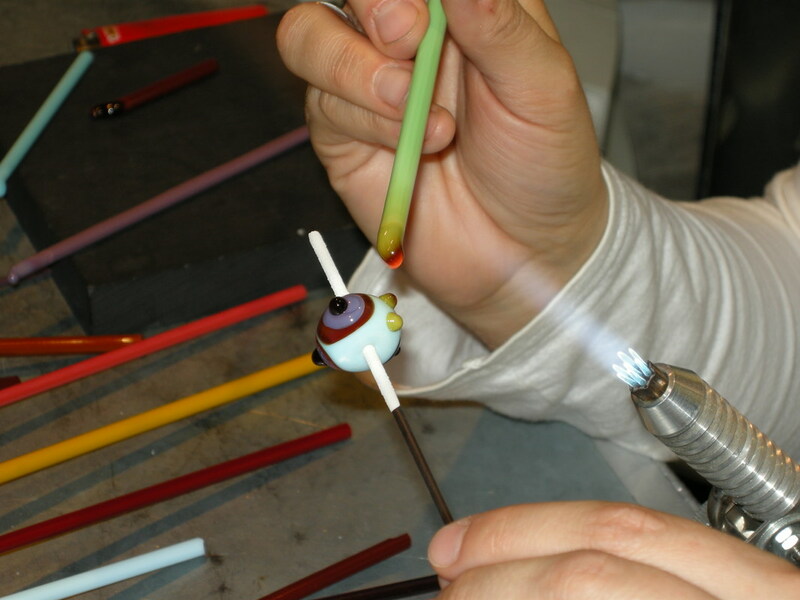 Each bead is a stand-alone, one of a kind work of art. When sold as single beads, this gives the buyer an opportunity to use her beads in their own creations. Please join Adrienne on Saturday June 9 from 12:30 to 1:30 pm. She will be in the store with a trunk full of beads and all the fixin’s for earrings, pendants, and bracelets. She will be on site to help you create your own piece of wearable art! To view more of Adrienne’s work, connect with her on Instagram!